“Oh, that will be your ‘humility block.’ Just leave it!” Whereupon she proceeded to tell me about how the Amish always leave in an imperfect block in their quilts because it shows their humility to God. So now, if you go to your quilters guild and ask, they may well tell you the myth, and in great detail, but you will know the truth of it. Want to know more about this charming, but entirely untrue quilter’s tale? Then go to Hart Heritage Quilts (scroll down a ways on this site) or to Cats Quilt Art to read in more detail. So, what did I ultimately decide to do? After reading about how many vintage and antique quilts there are out there with a high value attached to them, and that the imperfections are considered ‘quirks’ of the maker… well, I decided to let it go. I’ve bound it, its done, and I’m happy. 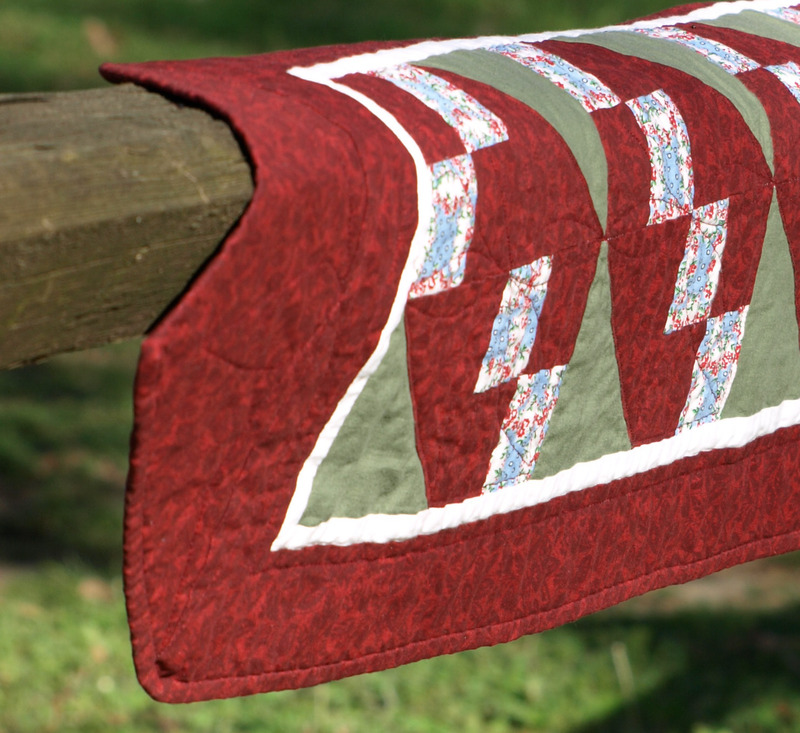 The block is called *“Railroad.” The table runner is machine pieced and quilted, however the binding is hand sewn! Though I must confess I do sort of like the myth behind the Humility Block. Old or new to the quilting tradition, the quirky block in even the oldest of quilts stands the test of time, and I don’t care when the myth was begun. I like it. I like the myth too! And the quilt – beautiful. True or not, it is wise. I have some of my grandmother’s pinch and coil pottery and what I truly love about it is its imperfections. I can see the imprints of her fingertips. I know that she made them for the love of the process, the feel of the clay in her hands. They are beautiful in their humility. I suppose if you want to sell them commercially then someone might feel slighted if they are not perfect, but if they are wise they will see that the imperfections prove that they are hand- and lovingly crafted. There are variations on the theme of intentional IMperfection. During the Persian Empire, imperfections were woven into tapestries to acknowledge that only God is capable of perfection. And, the Navajo weave imperfections into their blankets and such to allow the spirits to go in and out. Or so I’ve been told. In any event, Leonard Cohen got it right when he wrote “Anthem”. As the words go, “there is a crack in everything – that’s how the light gets in”. Linda, you always find the most interesting information! Thank you for sharing, as certainly helps in understanding the origins of the Amish humility block. I love that your grandmother did this too! I think it is very nice and homey. 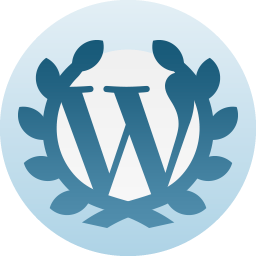 You are doing lovely work. I didn’t know that but I like it, too! Thanks for the info! That really is a beautiful table runner, I do love the way you have done it, I don’t know anything about quilts but I the pattern you used it looks great. Very interesting blog, my goodness there is a lot of work put into a lot of the quilts. I think it’s funny how these myth’s get started and become “truth” after a while. Reminds me of the “German Christmas pickle”. Everybody in the US seems to know about it, yet nobody in Germany I asked had ever heard about it and I asked a lot of people from all over Germany. 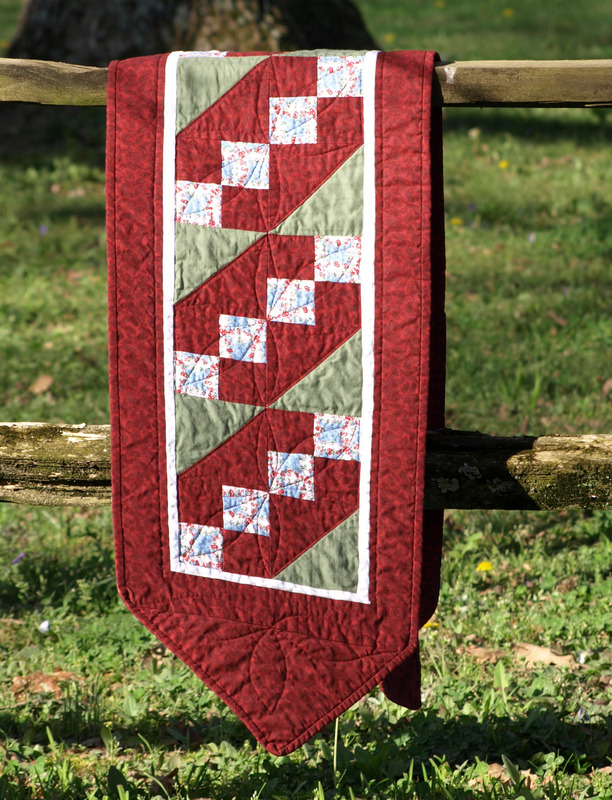 Your table runner is gorgeous, you do beautiful work Lynda! Thank you Anke! I am afraid I was taken in on that pickle story too… BUT, at least I don’t own one! LOL! I like the deep red colour a lot. I find that putting in a humility block in life is so easy that I am now particularly humble almost all the time. I have plenty of humility blocks! I think we’re own worst critics and see things no one else can see. Your table runner is beautiful. I love the table runner! It’s beautiful. I have never heard of humility blocks but then I came from a family of perfectionists!! I like the idea of owning the imperfections and just going with them! I love life a lot more not having to walk such a fine line. I love all my humility blocks. This isn’t the only myth in quilting that has gained a foothold…the whole Underground Railroad quilt thing is a myth as well! It was started by an antique dealer who was having trouble “moving” some of her older quilts. Many of the blocks attributed to the myth didn’t “exist” until after the Civil War. I think we just want to believe in the magic of the quilt!! Tracy, this may be so, thank you! I have also seen this pattern called “Jacob’s Ladder” and several other names. In going to Maggie Malone’s 5,500 Quilt Block Designs, I see that the the actual “URR” block is a nine patch, whereas mine is a four patch. Thank you for making me go back to do a bit more research on this block because I have actually found that Barbara Brackman called it the “Railroad Block” and talks about how it can symbolize the Underground Railroad, not that it does. You can read more about this block from her, here: http://civilwarquilts.blogspot.com/2011/05/21-underground-railroad.html I chose this pattern from http://www.CivilWarQuilts.com , and no matter it’s name, it goes together nicely (mostly) for a beginner like me. And yes, by all means, let’s hear it for the magic of a quilt! I heard the concept of the humility block years ago (and other variations, such as in rug-making and knitting and just about every other craft or art out there), and while I know it’s bunk, I also really like it. It helps me to remember that not everything can be perfect, and that I have to learn to accept things as they are sometimes, and that even the imperfect can be perfection in its own right. The myth itself may be false, but the lesson and the message have meaning to me. I actually like the humility story even if it was not true. Life can’t be perfect but when you think of it, it’s the imperfections that make us special, different..
Good for you, it is beautiful. humbleness over humiliation ,,, I like it. And I like that you’ve started following my journey. Thanks. Thank you Pat, it is my pleasure! I look forward to seeing where you and Princess Meghan will stop next time on your journey.